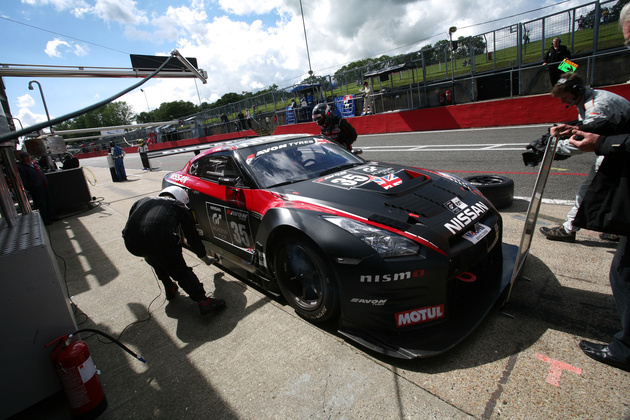 The GT3 Nissan GT-R, rear wheel drive, VR38DETT powered Nissan GT-R won its first race at Brands Hatch in British GT in its debut season. 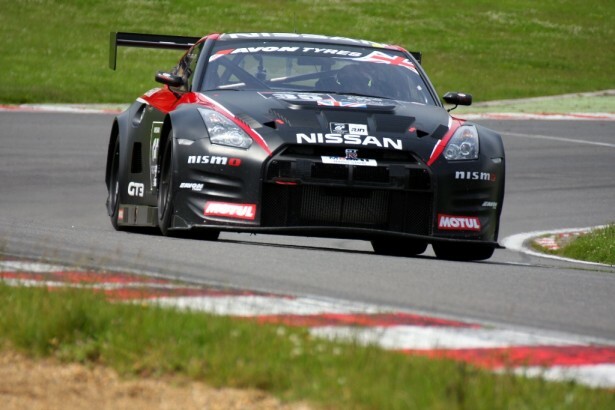 During the two hour race, the GT-R went from 10th to 1st within three laps, and managed to hold off the second place Aston Martin by just 0.022. 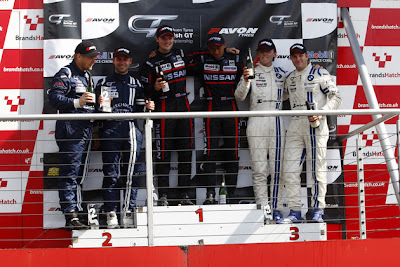 Mardenborough/Buncombe take the GTR’s first in British GT – but they had to fight for it from several cars and teams throughout the 2 hour race. 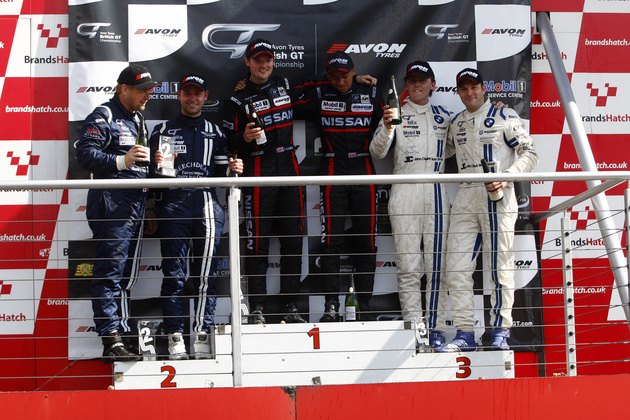 After showing promise at Rockingham, with Buncombe leading away only for the safety car and brake problems to deny them the race win, it looked once again at Brands that safety car periods would again deny them. However, Mardeborough held off from a hard and fast charging Jonny Adam in the Aston Martin by just 0.022 – the closest finish in British GT. Adam recovering after Andrew Howard dropped down the order in the slippery conditions of the first few laps. Andrew Howard jokingly mentioning about dropping down the order on purpose to show just how good his team mate is.